My Canvas Oil Painting is Warped. What Can I Do? Every artist fears canvas warping over time as this may cause the oil painting to crack and buckle. Prevention is better than cure, but once the oil painting has warped, what can the artist do to rectify the problem? The wooden stretcher on which the canvas is stretched upon is warped itself. This might be due to damp or extreme temperature variations causing stresses in the wood. If the painting is large (over 2.5ftx2.5 feet) lack of support via crossbeams at the back of the painting may cause the canvas to ‘droop’ in the centre which could exacerbate over time. The canvas has been improperly stretched in the first place. Pressure points may vary in the canvas, causing the weave to slacken one area and overstretched in another. This might manifest itself as distortions in the canvas weave which over time begin to give. This pressure difference may show up as small cracks along a ‘fault line’ of the oil painting. 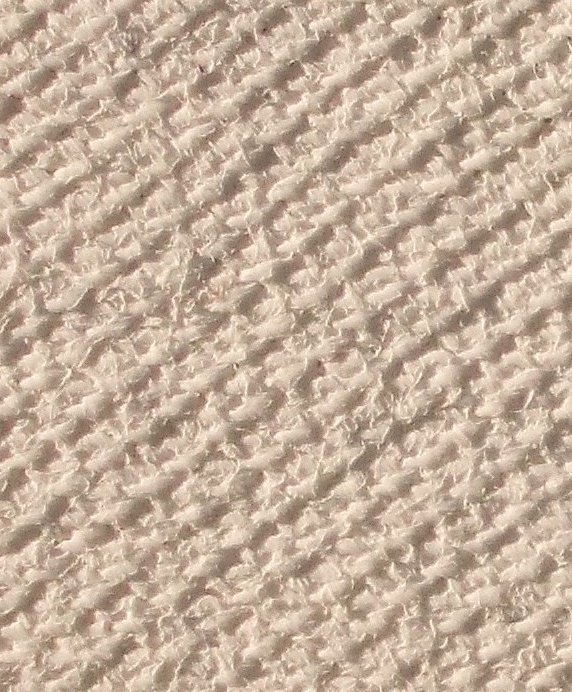 Canvas warp can also be caused by improper use of art mediums. Linseed oil for instance retards oil paints’ drying time, whereas alkyd-based mediums will accelerate it. If both mediums were used in the same oil painting, the varying drying rates within the painting could cause pressure points in various areas of the painting which will be transmitted to the canvas, causing it to warp. Before doing anything, remove the varnish, (if the painting has been varnished). This is recommended as the varnish will over time ‘remember’ the distortion in the canvas. Varnish dries to a hard, clear film that is designed to protect the oil painting from damp and dust. Some of the old traditional varnishes tend to brittle in time and possibly crack at the warped area. Special varnish removers can be purchased from artshops which is designed for oil painting (never use household products or turps). Follow the instructions. If the painting is old, take extra care. Place the painting on a level worktop. Place a little of the cleaner on a shallow dish to keep the rest clean. Dip a little onto a cotton bud to start with. Watch out if any of the oil paint comes up with the varnish as this is indicative the painting has been varnished before the painting has dried properly. With a clean cotton swab, work over the oil painting in small sections, changing the swab frequently. Work in a dry, dust-free place. Once the varnish has been removed, carefully remove the oil painting from the stretcher (if has been stretched). It is recommended to re-stretch a warped oil painting. Once liberated, place the painting face-up on a level worktop. Leave it for a day or so at room temperature. This will make the oil painting a little more flexible for re-stretching later. You may 'oil out' parched areas of the oil painting. Oiling out an oil painting is covered in a separate article but works to renourish the oil paint and aid flexibility. Basically, oiling out entails the application of a little linseed oil to the painting as one would apply oil to parched wood to restore its oil content. Allow the oil to settle in the oil paint prior to restretching. Now turn the oil painting on its front upon clean soft fabric to protect the surface. Place a new stretcher on top and carefully stretch the canvas. If the painting is particularly old, take care not to stretch it unduly. Follow the instructions on my other article on how to stretch canvas, by using the ‘rotation method’. Be sure that equal pressure has been exerted over the entire canvas during the stretching process but don’t pull too hard; only enough to ‘iron out’ the warp. If the painting is large, crossbeams will be required at the back of the stretcher prior to stretching to provide extra support. You may revarnish the painting once it has been restretched. Some warps are more stubborn than others, particularly if the painting has been warped over a long period. Efforts may not eradicate all warps, but could reduce them. The most stubborn types are when the canvas has been improperly stretched in the first place causing some of the weave to stretch more than others. Improper use of art mediums as outlined earlier can also be a stubborn problem. Why is my painting cracking? How do I Prevent the Canvas on my Oil Painting Warping? The last thing the artist needs is canvas warp occurring over time, particularly if the oil painting is large and ambitious. What can the artist do to prevent canvas from warping once the oil painting has been applied? Common culprits of canvas warp can easily be avoided with proper preparation of the art support prior to embarking the painting. (Read my article on what to do about canvas warp if it has already occured). Of course, the artist may purchase ready-stretched canvases from art shops. But if seeking a size not available or a particularly large canvas, the artist may wish to cut the cost of buying stretched canvas by preparing one’s own. 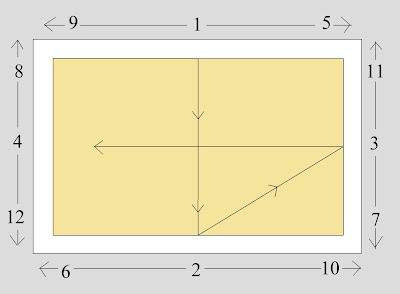 The image below serves as a guide on how to stretch canvas by rotation, beginning with point 1. If preparing a large painting, prefer thicker canvas to the thinner variety, as the ratio of thickness to dimensions will mean the canvas will be thin for its size. The finer weave may not withstand the extra pressures needed to stretch it over a large stretcher, causing the fabric to distort in places. A large canvas will also require crossbeams for extra support. If stretching your own canvas, follow these simplified steps. Good quality canvas purchased from a reputable art supplier such as Daler Rowney. If the painting is to be large (over 2.5ft x 2.5ft) use the thicker variety. A rigid wooden stretcher on which to stretch your canvas. These can be purchased from art shops or you can make your own (see separate article). Trim the canvas material around the wooden stretcher, leaving at least 2 or 3 inches spare on each side. Rest the canvas over a level worktop. You can place fabric or paper over the worktop to protect the surface of the canvas. Rest the stretcher over the canvas. Determine central points of the width and length of the stretcher using the ruler and pencil. Now bring one edge of the canvas over the edge of the stretcher and tuck it neatly over a centre-point of the stretcher’s length. Use the diagram as a guide. Staple the canvas to the stretcher using the staple gun. On the opposite edge, repeat this step. 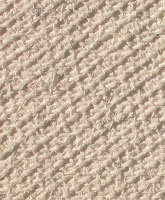 Pull firmly, not too hard or the canvas weave will distort at over-tensioned areas. Staple this opposing edge onto the stretcher. 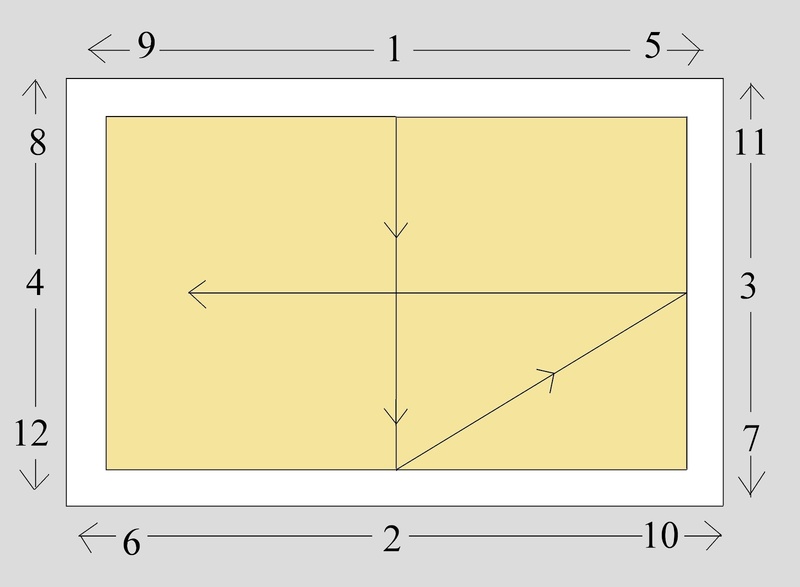 Work in rotation around the canvas as shown on the diagram, aiming to exert equal pressure over the entire canvas by basically 12 points. More staples can be added between these points to provide extra support. For fine-tuning the canvas’ tension, gently hammer two or three of the wooden wedges into each corner of the frame between the canvas and the frame itself. The stretcher itself should be rigid and lie flat when placed on an even surface. If mitre joints are not true, the canvas will not lie flat properly over the stretcher. For extra strength, you can add crossbeams over the back of the stretcher and use metal brackets instead of wooden ones for each mitre joint. If the painting is stored in damp locations or where there are large temperature changes, this may cause the wooden frame to warp over time which can be transmitted to the canvas. As an extra precaution, apply a coat of acrylic primer over the wooden stretcher prior to stretching the canvas and use metal braces instead of wooden ones. Canvas paintings should be kept in a dry place. If however, the canvas has warped over time, the painting can be salvaged with care. I have written a separate article on repairing a warped oil painting. The under-drawing forms an essential component of painting. Regardless of the art technique used, a wonky ellipse or an impossible vanishing point could draw the eye in undesirable ways and spoil the finished painting. What is the best way draw accurately for oil painting without the fuss? The artist cannot get away from the drawing aspect of painting when exploring non-abstract art. Composing the drawing accurately will enhance the result of the final painting. However, during my term teaching, I came across many students who struggled to draw. This problem inevitably undermined painting exploration. For this reason, I have written a book designed to help the ‘picture dyslexic’ overcome this problem in the most painless ways. My book, Draw What You See Not What You Think You See, begins at the very beginning with distorted perception in drawing. A test and questionnaire serves to inform on how our perception of the world can interfere with our ability to draw accurately. Drawing exercises begin with the language of line. Exercises that help develop our visual awareness as well as hand-to-eye coordination is where drawing really begins. Drawing a perfect circle exercises all fields of vision and launches a set of exercises on symmetrical drawing; an ability I believe is essential for drawing well. Drawing exercises progress steadily in difficulty and complexity to other areas of drawing. This includes the A, B and C of drawing, abstract shapes, drawing within frames, upside-down drawing, drawing objects in foreshortening and the weight of marks. The realms of tonality are embarked via simplified shading exercises with ‘keys’ to represent a particular tone. Combined with symmetrical drawing as practiced earlier, the learner’s chances of success in drawing is enhanced. View my book on Youtube. 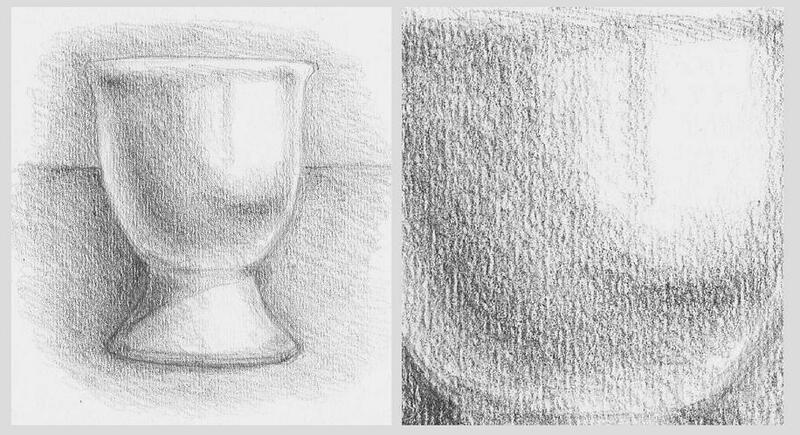 The latter part of the book sets out more complex subject matter with subtle shading. Hints and tips are offered with each drawing. In total there are around 90 drawings within the book the learner can use as a resource for the drawing exercises. The final two exercises in shading explore the use of grey paper and chalk pastels for exploration. Step by step images are given for each demonstration. The more prescriptive areas of drawing are set out in the final chapter ‘when rules apply’, as I feel this can put some picture dyslexics off. This chapter however, serves to inform on such matters when required. How to draw buildings, ellipses and plotting drawing are set out with supporting images. A glossary and reference can be found at the back of the book. My book is available on Kindle as well as a hardcopy. The hardcopy’s dimensions are 8.5x5.5in and 114 pages in total. The book possesses approximately 15,600 words and 90 images with 12 chapters.